2 kg Pure Eggless Vanilla flavor cartoon character Ben ten cake. 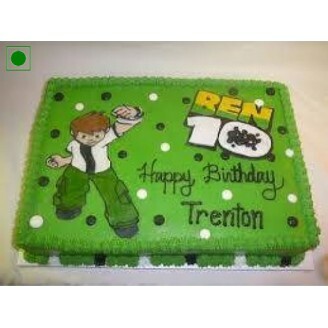 Ben ten cartoon themed Cake for your little cartoon lovers . Make your little kids Birthdays so Special and more memorable with this splendid theme Base cake. For any query please call our customer support number +91 9654 66 33 55 /+91 9654 66 3355.